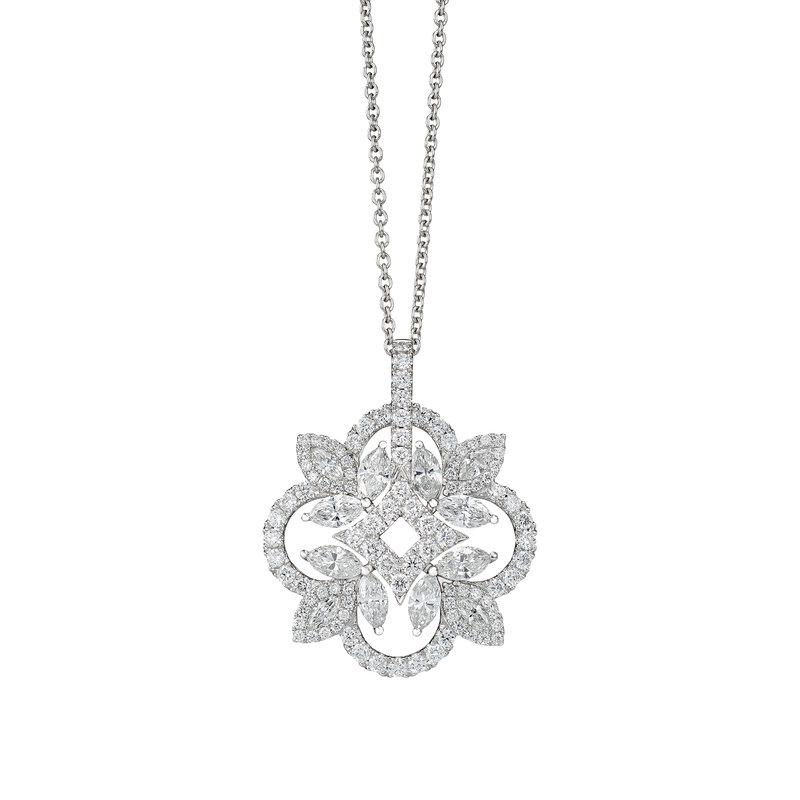 This Snowflake Diamond Pinwheel Necklace combines fancy cut diamonds to form the different shapes of snowflakes. The pendants consist of round brilliant diamonds as well as marquise and baguette stones, where each of the diamond facets dances with the light that result in irresistible sparkles. It comes with a unique mechanism that allows the diamonds to spin – just like a pinwheel!